Since having camera withdrawal, I have been trying to keep myself busy by going through older photos and sifting through them. I came across this series from November. 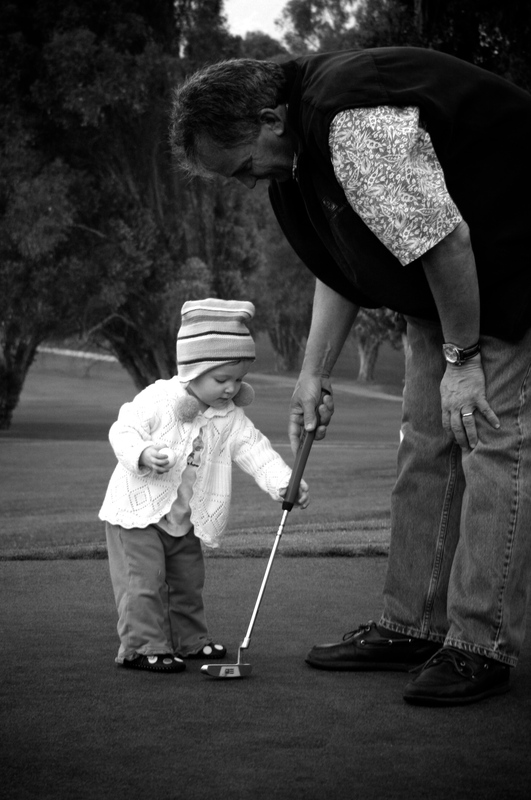 I think Greta is learning the way to her Papa's heart is through his golf club.